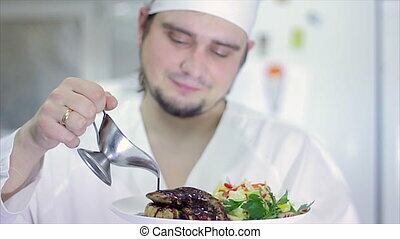 Cook the meat in a frying pan, mixing spatula and tosses in the air. 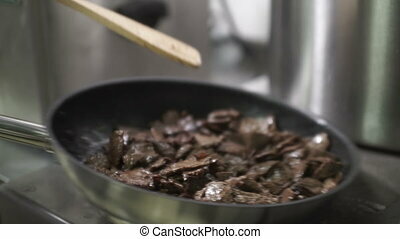 Meat, cut into thin slices, stew sauce over high heat. 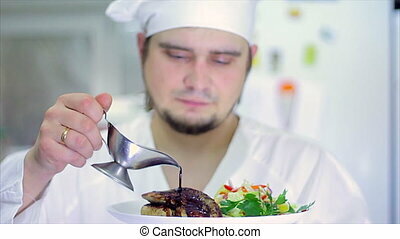 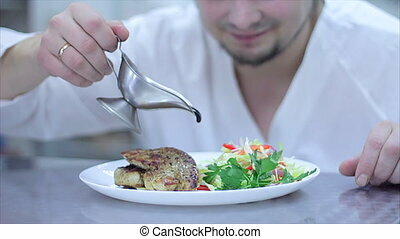 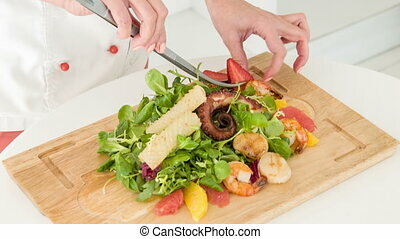 Chef with a wooden tool ensures that the product will not be burnt or left raw and ready from all sides. 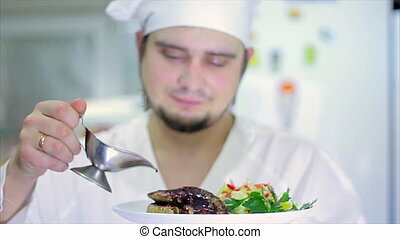 Professional expertly tosses the food during cooking. 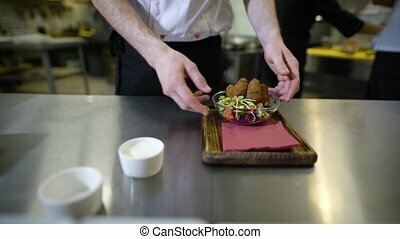 Next to the kitchen table is a different equipment with light metal for rapid manufacturing of the order on the restaurant menu.